Romans 1:2b (MSG) Unlike the culture around you, always dragging you down to its level of immaturity, God brings the BEST out of you, develops well-formed maturity in you. It's amazing whom God will use to bring out the best in you. My first born brought out a gear inside me I didn't know I had! As women, we are known to rise to the occasion, give more than we thought possible, and lend strength to our closest allies. History proves women like “Rosie the Riveter,” clad in a bandana and jean-blue work shirt, build ships they never built when the men were off at war. We are women, hear us roar, right? God is always looking to draw out the best He placed inside. It's sometimes hidden under weariness, bitterness, or exhaustion in moms, but it is there nonetheless. And watch out, it may be your mother-in-law who brings out the best in you! Etched In her story, we find a mother-in-law with two very different daughters, with a heart full of secrets to being all you can be. RUTH COULD HAVE REBELLED BUT HER BOND WITH NAOMI RAN TOO DEEP. Do you have a great mother in-law? If so, count yourself doubly blessed. For Ruth, she stood at a crossroad on the dusty street of Moab with a mother-in-law who had nothing much left in life but a frying pan and a rocking chair. How easy it could have been to walk away. After all, Naomi had lost her son's, Mahlon and Chilion, and her husband, and what did it really matter if Ruth stayed in Moab and worshipped foreign gods? Difficulty has a way of dealing out big choices. But it's not rules that kept Ruth from rebellion; it was her deep bond with Naomi. Rules are never enough. Relationship prevents rebellion. We can write rules til the cows come home for our kids, but when they turn eighteen, they are not bound by our rules. It is our relationship with them that makes all the difference. When kids feel valued, important, treasured, and connected to us in healthy meaningful ways, we've set them up to resist rebellion. Why go looking for love in all the wrong places if you've been showered with love at home? Why rush out to prove you have value, if you see it in the eyes of a loving parent? In our house, we call it the love bucket. Funny, I know. But it's easy to assume your kids feel loved because you slave over a meal, wash their socks, or pay for ballet. My first born didn't care much about how often I told her I loved her or washed her socks. All she wanted was snuggles. Lots of them. Being held is how she feels loved. Now, I ask my kids, “How's your love bucket? Do you feel special? What makes you feel loved?” It's amazing how fast behavior changes when I deal with the love bucket first. RUTH STAYED CLOSE BUT ORPAH DISCONNECTED. Ruth's famous words have captivated many and made their way into wedding vows, (including my own) but these were not words between lovers, but words to, of all people, a mother in law! Can you imagine the bond they must have formed? Even those of us with the best mother-in-laws may bat an eyelash at sharing kitchens and closet space for the rest of our lives. RESIST THE URGE TO DISCONNECT FROM DIFFICULT PEOPLE. Ruth's bonds ran deep, but Orpah rebelled. Living like an Orpah is certainly pressed in our culture. If things don't go like you planned, just do your own thing, disconnect from difficult people and if it's too hard, head on down the road! In the crossroad of life, Orpah went one way and Ruth went the other. Understand, Naomi was not the easiest person to stay connected to at this point in her life. She even renamed herself saying, “call me Mara,” which means bitter. Would you want to hang out with a bitter old woman after you've been through a train wreck? Me either. But Ruth chose to stay connected, even though Naomi was walking through scars which had hardened her soul. Disconnection produces rebellion. When we feel disconnected or unloved by God, it's easy to reach for a box of cookies, and if our kids feel unlovely in our eyes, it's easy to act out in rebellion! Ruth waved goodbye to Orpah and clung to Naomi. And you know what? It brought out the best in her. She found she could serve. She found she could love the unlovely. She found she could find God even while living with a difficult person. And ultimately, she found Boaz because she held on to a connection which was God ordained--even when disconnecting would have been easier. Kami is a forty-year-old pastor's wife, living in a farmhouse, raising two girls under six and an adorable six-month-old baby boy. She's a prophetess, women's pastor, prayer warrior, published freelance writer, and homeschool mom who loves antiques, tea cups, chocolate truffles and empowering women to live free and fulfilled in Christ. Follow her on Instagram﻿ and Facebook. Kami is a forty-year-old pastor's wife, living in a farmhouse, raising two girls under six and an adorable six-month-old baby boy. 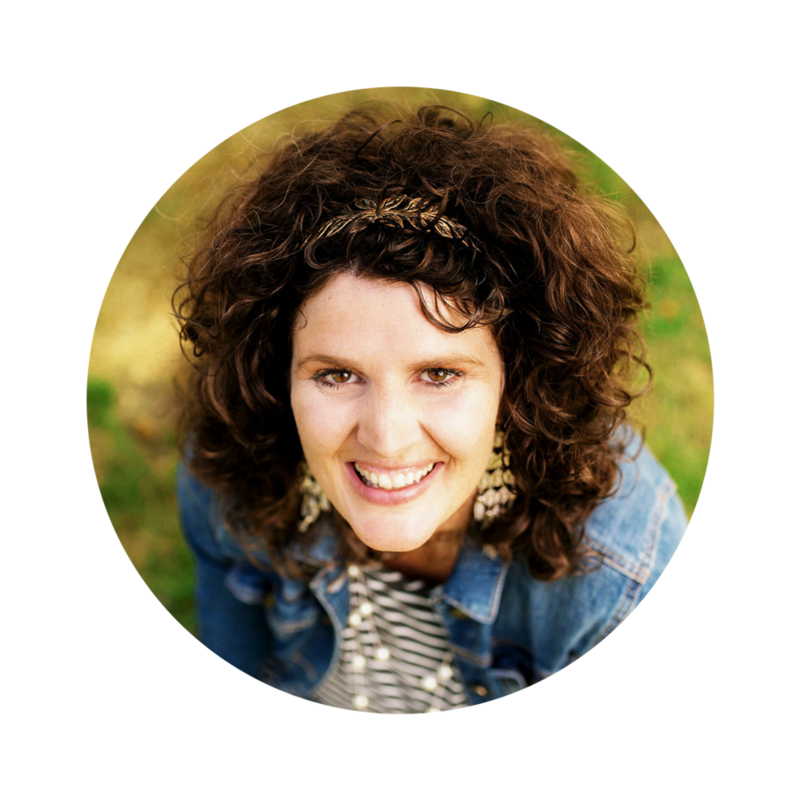 She's a prophetess, women's pastor, prayer warrior, published freelance writer, and homeschool mom who loves antiques, tea cups, chocolate truffles and empowering women to live free and fulfilled in Christ. Follow her on Instagramand Facebook.